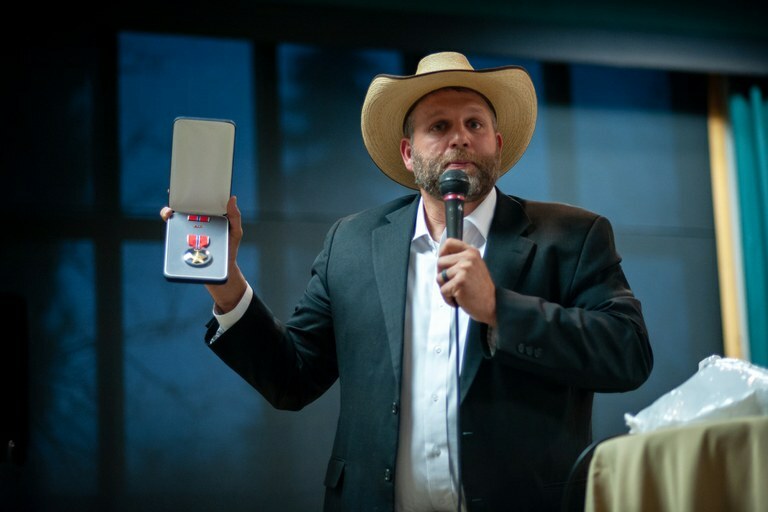 Ammon Bundy holds a copy of the Constitution of the United States while asking questions of the presenter, Kerry White. Ammon Bundy and a conference attendee speak with reporters on a break outside the lodge. Jim Huff pictured at the John Birch Society information table. Attendees of the conference held at Grouse Mountain Lodge break for lunch. 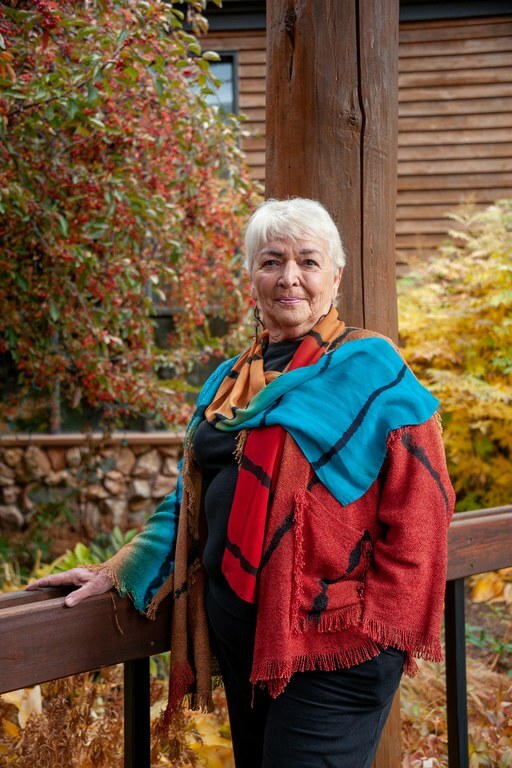 Chris Kortlander, director of the Custer Battlefield Museum in Garryowen, Montana, spoke at the New Code of the West conference about conspiracy theory, public land agencies, and a distrust of federal protections for Native Americans. Alex Newman (center) speaks to conference attendees over lunch. Tickets ranged from $75 to $150 for the event. Alex Newman's presentation slides at the conference. Newman is an evangelist of the Agenda 21 conspiracy theory. Conference attendee Charlie Lyons of St. Ignatius, Montana, is a retired rodeo clown and Cowboy Hall of Famer. He stands in the lodge lobby next to his award statue. Lauralee and John O'Neil, conference organizers, of Kalispell, Montana, thank guests for attending the event. Chuck Dion of Kalispell, Montana, leads the closing prayer at the end of the evening. A counter-rally was held at Depot Park in Whitefish, Montana. Chairman of the Confederated Salish and Kootenai Tribes Vernon Finley speaks to a crowd brought together to protest the New Code of the West Conference. Whitefish City Council Member Melissa Hartman addresses an audience at Depot Park. Jeny Running Brook Covill speaks to a crowd brought together by Love Lives Here.